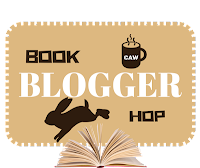 How do you handle negative comments left on your blog? I've been pretty lucky in that I've never had any really negative comments left on my posts. I get the odd bit of spam, but I simply delete those. "When once sordid interest seizes on the heart, it freezes up the source of every warm and liberal feeling; it is an enemy alike to virtue and to taste--this it perverts, and that it annihilates." He was anxious that his family should not perceive the skeleton; an object, which would, probably, excite a degree of horror not to be overcome during their stay. Set in a Roman Catholic Europe of violent passions and extreme oppression, the novel follows the fate of its heroine Adeline, who is mysteriously placed under the protection of a family fleeing Paris for debt. They take refuge in a ruined abbey in south-eastern France, where sinister relics of the past - a skeleton, a manuscript, and a rusty dagger - are discovered in concealed rooms. Adeline finds herself at the mercy of the abbey's proprietor, a libidinous Marquis whose attentions finally force her to contemplate escape to distant regions. 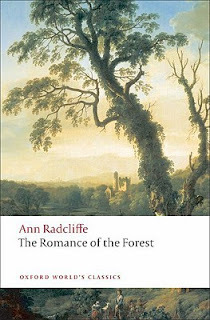 Rich in allusions to aesthetic theory and to travel literature, The Romance of the Forest is also concerned with current philosophical debate and examines systems of thought central to the intellectual life of late eighteenth-century Europe. I've read several other Radcliffe novels and, while I liked them all, I believe this is my favourite. I am down to the last couple of chapters and keen to see how it will end. I'll be sharing a review over the weekend. Doesn't sound like something for me, but I'm glad you are enjoying it. Although it would probably take me a while to get used to the formal writing style, this sounds like a book I'd enjoy. But I'd have to be in the right mood to read it. Sounds like one of those books where you'd stop reading and ponder the author's words before continuing. Hi Sandra. Yes, eighteenth century literature can be slower reading, but I read a lot of classics, so you get used to the long-sentence style. Yes, she is pretty much synonymous with Gothic literature. Plenty of spooky houses, skeletons in closets, and deep family mysteries. Always with a virginal heroine. I like to explore old houses and estates. This sounds like one I might enjoy. If you don't know Radcliffe's work, I do recommend it. It's very atmospheric. I never get negative comments, but have gotten spam. I delete both and don't even bother. I haven't really gotten negative comments either. I would probably delete any that were personal attacks. Sounds different. I like that. Happy weekend! Here's hoping you don't get any negative comments. I've only really been participating in the blogging community for the last few months, but I've found that people, in general, are awesome. Thanks, everyone, for stopping by and commenting this week!